This depends totally upon yourselves. The shortest exposure time is one day and the longest half a year. 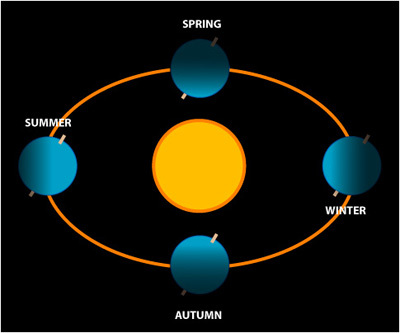 The deciding factors are the winter and summer solstices. In the northern hemisphere the Sun´s altitude (its speak) is reached in midsummer on June 21st and after that it starts its descent day after day. The Sun is at the lowest in December. In this project you may see solargraphs with different exposure times.